Blaize Dicus is a graduate student at the University of Central Oklahoma. When he was eight, his family moved to Beijing, China. He lived there for five years: going to school, making friends, learning the language. This early journey sparked his existing interest to study people and culture. 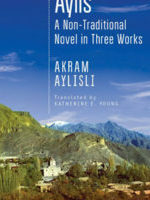 His goal as a writer is to translate the unheard to the unwilling.